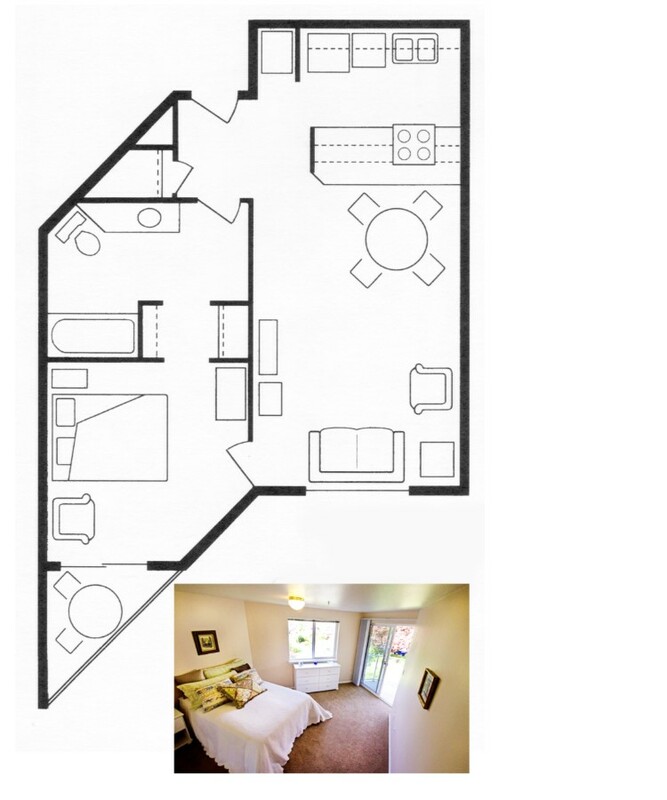 We offer a wide variety of apartment floor plans to choose from – see all our offerings below. 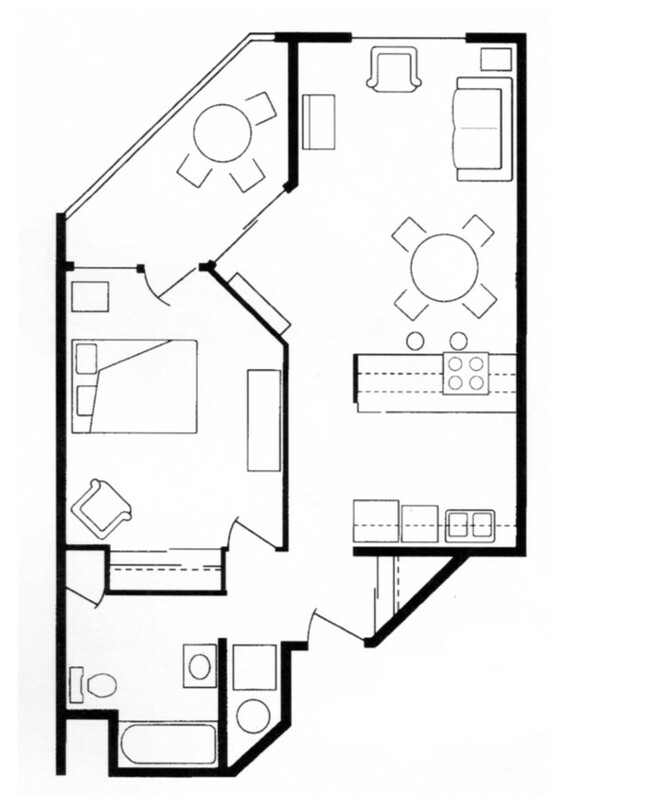 Floor Plan A – One Bedroom, One Bathroom – 680 Square Feet. All apartments include: full kitchens with microwaves, washer and dryer, paid utilities, emergency call system, and Comcast HDTV Digital Starter package. 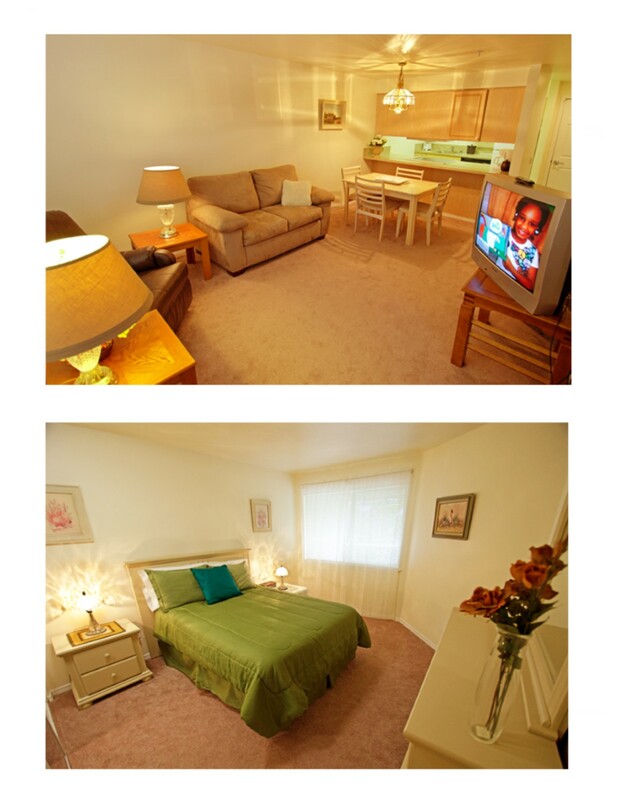 This is our most popular one-bedroom apartment with lots of storage and a small balcony or patio. Individual apartments may vary. Please call for current pricing and availability. 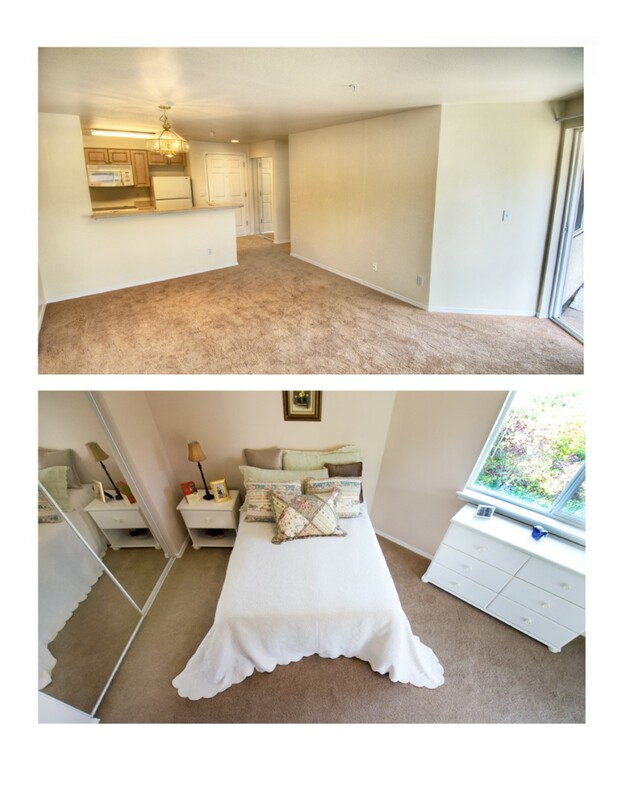 Floor Plan B – One Bedroom, One Bathroom – 730 Square Feet. All apartments include: full kitchens with microwaves, washer and dryer, paid utilities, emergency call system, and Comcast HDTV Digital Starter package. 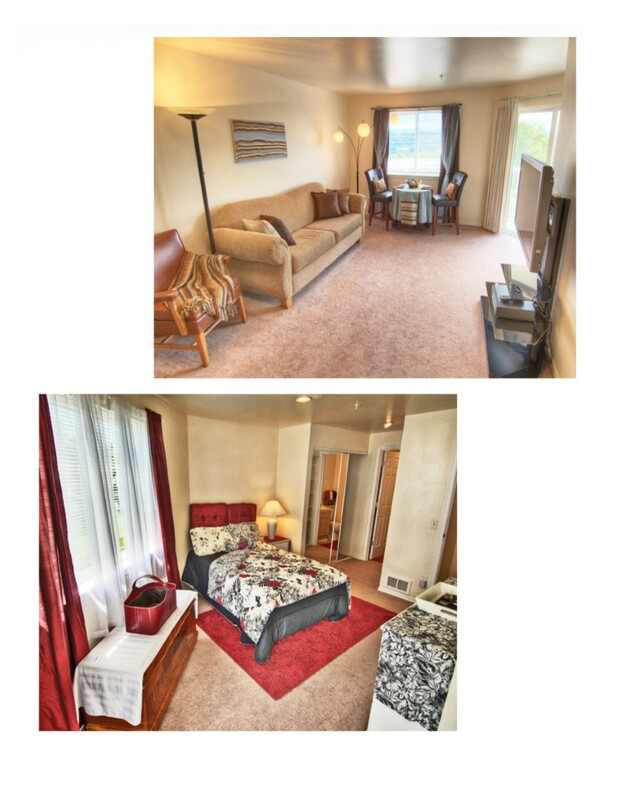 This apartment is rare but has a lovely layout, good storage, and a small balcony or patio. Individual apartments may vary. Please call for current pricing and availability. 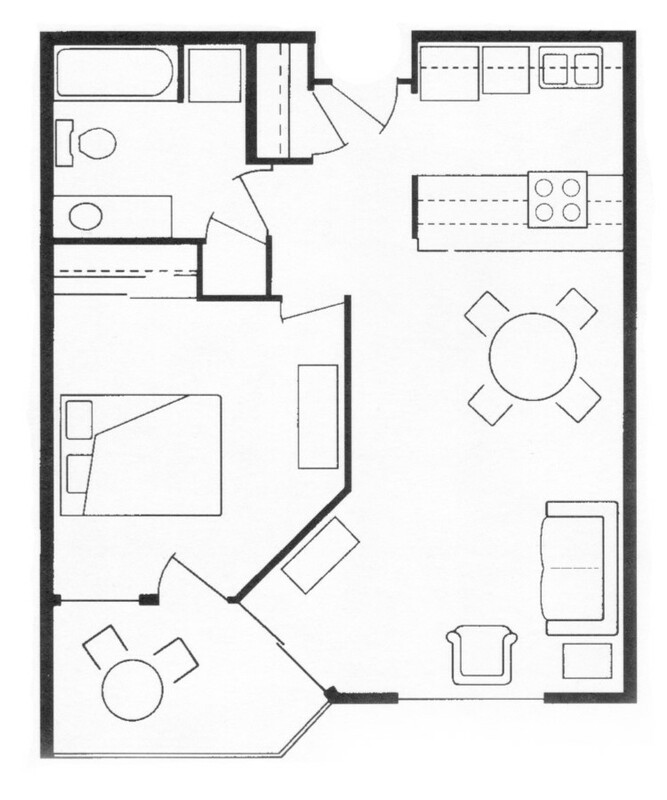 Floor Plan C – One Bedroom, One Bathroom – 636 Square Feet. All apartments include: full kitchens with microwaves, washer and dryer, paid utilities, emergency call system, and Comcast HDTV Digital Starter package. This is our smallest unit and boasts a lot of storage for its size. 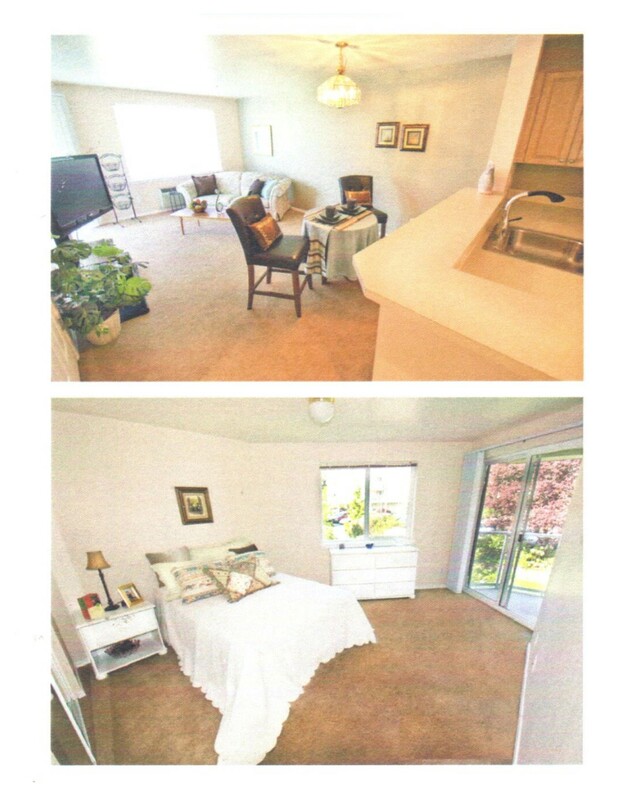 This unit has a small balcony off the bedroom and is a rare plan that is not often available. Individual apartments may vary. Please call for current pricing and availability. 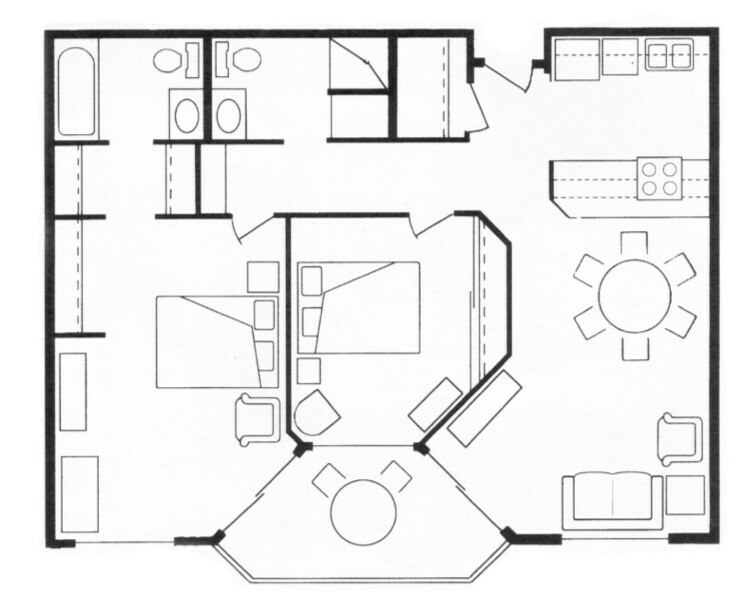 Floor Plan D – Two Bedroom, One and 3/4 Bathroom – 1,012 Square Feet. 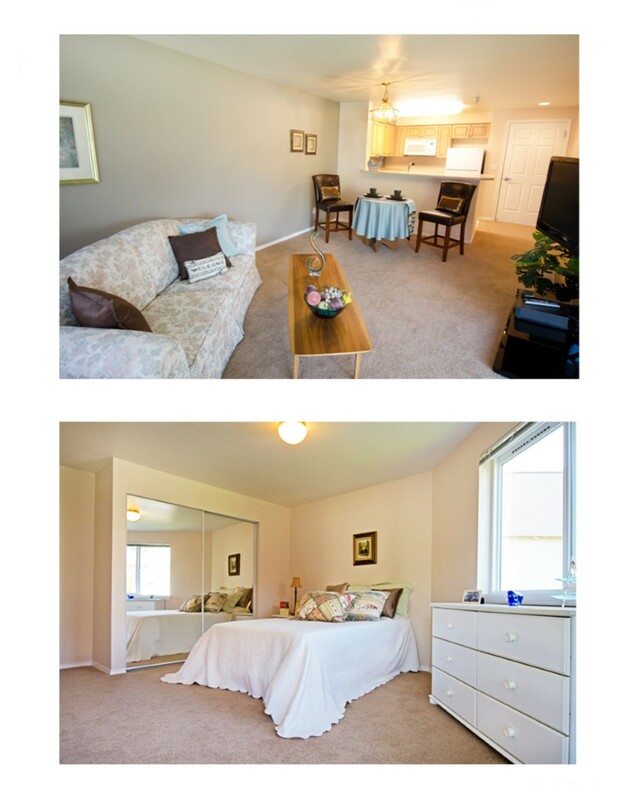 All apartments include: Full kitchens with microwaves, washer and dryer, all utilities including Comcast HDTV Digital Starter package, individual heat control/air conditioning, safety features in the bath, emergency call system, monitored fire and sprinkler system, convenient elevators. This floor-plan has a lot of room and storage, and a large balcony. All apartments have a view. Individual apartments may vary. Please call for current pricing and availability. 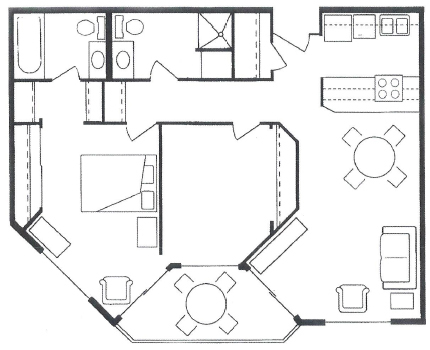 Floor Plan E – Two Bedroom, One Bathroom – 864 Square Feet. All apartments include: Full kitchens with microwaves, washer and dryer, all utilities including Comcast HDTV Digital Starter package, individual heat control/air conditioning, safety features in the bath, emergency call system, monitored fire and sprinkler system, convenient elevators. This floor-plan has a lot of room and storage, and a large balcony. All apartments have a view. Individual apartments may vary. Please call for current pricing and availability. 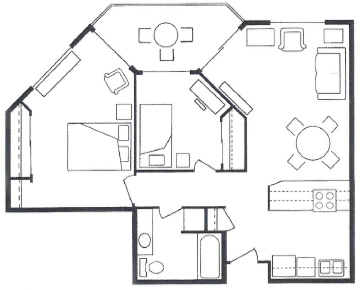 Floor Plan F – Two Bedroom, One and 3/4 Bathroom – 972 Square Feet. 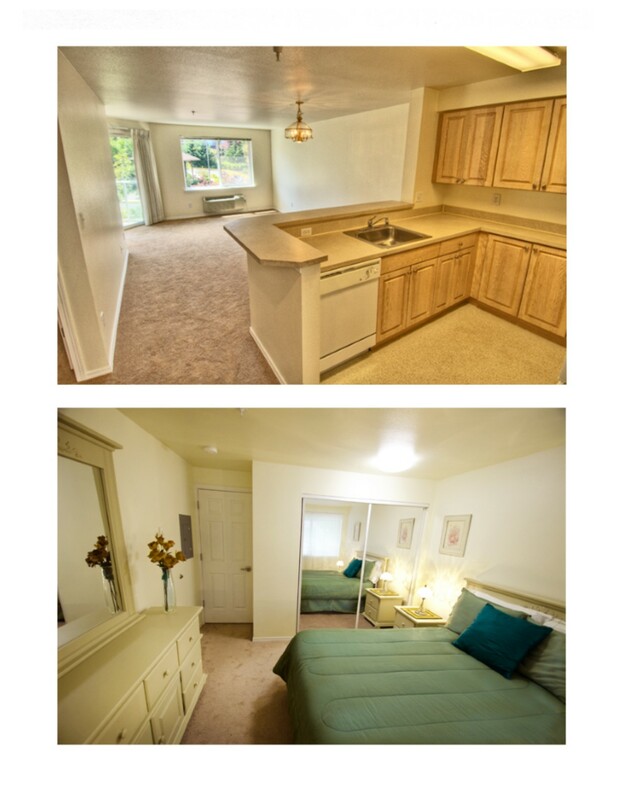 All apartments include: Full kitchens with microwaves, washer and dryer, all utilities including Comcast HDTV Digital Starter package, individual heat control/air conditioning, safety features in the bath, emergency call system, monitored fire and sprinkler system, convenient elevators. This floor-plan has a lot of room and storage, and a large balcony. All apartments have a view. Floor-plans may vary. Please call for current pricing and availability.